IMAN Australian Health Plans Pty Ltd is Australia’s oldest 457 visa health insurance specialist brand with 17,000 policy holders. The brand’s parent company is nib health funds which is listed on the Australian Stock Exchange. Why Choose IMAN For 457 Health Insurance? IMAN has always had low prices for their budget policies and as of 01/03/2017 offer budget cover starting from $74.54 per month. The $74.54 monthly price is not available for all overseas visitors, and visitors should be aware of preliminary questions during the application process. These questions can impact the final price of a policy. The following information was based on the fact that IMAN does not have universal pricing, unlike a fund such as Frank. IMAN didn’t receive a higher score for 457 health insurance price competitiveness. IMAN is one of the few 457 visa health insurance companies that doesn’t charge an excess for hospital admissions. All policies, with the exception of ‘value plus’, does cover overseas visitors for 100% of hospital accommodation & treatments during the stay. The policy pays for 100% of the costs of most treatments with lower benefits for gastric banding, pregnancy and palliative care. There is no coverage for assisted reproductive, organ transplants and bone marrow procedures. Please note that standard waiting periods may apply, especially for pre-existing conditions. All of IMAN’s 457 health insurance policies have public & private hospital cover. The reason that IMAN didn’t achieve the maximum score in the area of private hospital is because you are not guaranteed a private room (so you may need to share a room with other patients). If a private room is a must for yourself or family, then Frank may be your preferred budget option. Why Not Choose IMAN For 457 Visa Health Insurance? Unlike other health funds such as HIF, IMAN does not allow policy holders to mix and match their cover. 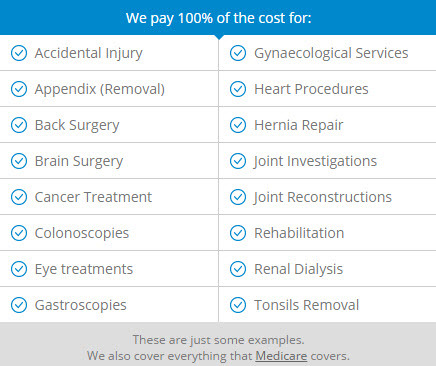 This means that if you for example choose their budget visitor cover hospital policy, you can not add extras such as dental and optical cover. As these elements are the most frequently claimed by most individuals, this limitation may lead you to consider another Australian 457 visa health insurance company. All prices quoted for IMAN on their main pages are ‘from’ prices. This means that once you private all your information the actual price may increase. For many individuals, couples and families therefore the final price may be significantly higher then the starting price and other funds may offer more competitive prices. IMAN have historically had a strong reputation and reviews and a specialist of overseas visitor health cover. As the product review widget below highlights as of the 1st of March 2017 the fund has a score of 2.3/5 from 44 reviews. Only the two ‘not for profit’ health funds scored higher. IMAN 457 health insurance is a subsidiary of nib Health Funds. For all nib 457 health insurance enquiries the applicant should instead contact IMAN health insurance. Who Should Consider IMAN Overseas Visitor Health Cover? The key to working out if IMAN is right for you is to investigate if when you move to Australia you will live close to one of their agreement hospitals for treatment. You should also make sure you actually go near the end of the application form to see the final price as the prices quoted are ‘starting’ prices which may increase due to your age etc. If you find the final price is too high or that agreement hospitals don’t surround your location, you may want to consider Frank if you want private hospital cover or HIF if you prefer public hospital cover with no excess. The 457 health insurance comparison table was updated on the 1st of March 2017 taking into account the most recent price rises in March/April the previous year. The information all came from fact sheets provided on the Australian health insurance companies fact websites. As this information was manually collected there may be outdated information as providers may update their policy details without notice. As this website sends all users to these Australian health fund websites the authors strongly recommend you view their product disclosure information first before making your final decision. If you have suggestions of changes needed or improvements, please use the contact form to contact the owners of the site. IMAN is rated 2.3 stars by 44 customers.